On this eve of the new year, there will be many celebrations. People around the world will be remembering their past and hoping that certain things of the past are not carried into the new year. They will hope to begin the new year with a fresh start. Many resolutions will be made in attempts to leave their dark past behind them and to live better, more fulfilling lives. Unfortunately, most people will not comprehend that the only real new start comes in Christ. To walk in Christ is to walk in the light. Anyone who hopes to get rid of the absolute darkness in their lives by their own power, and continue living only in the grayer areas is deluding themselves. 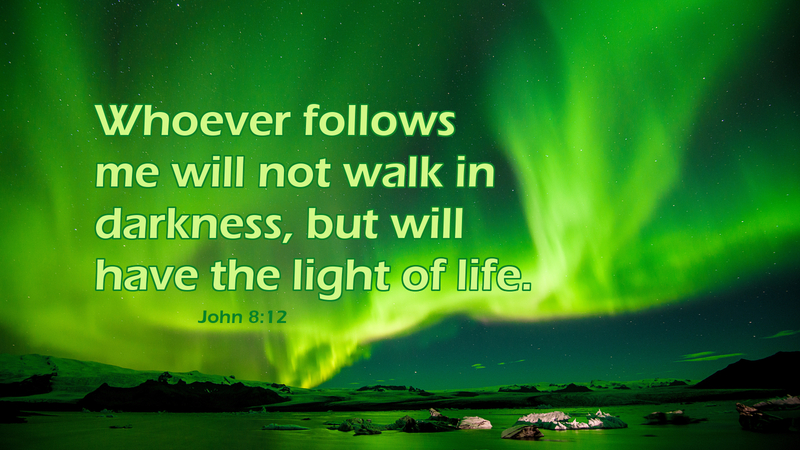 In order to truly live life, we must be willing to leave all shades of darkness behind and walk completely in the light of life, who is Jesus the Christ. Only in Christ is the old wiped away and the new begun. In this new life we are reconciled to God our Father, through His Son, Jesus the Christ, by the power of the Holy Spirit. Thanks be to God for the gift of new life in Christ. Prayer: May your heart be opened this new year to the new life that Jesus purchased for us with his life. Amen. Today’s devotion was written by Judy Mattson, Pastor of Christ Lutheran Church Palm Coast in Bunnell, FL.